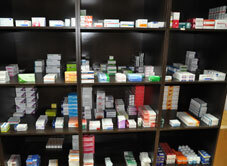 The list of medicines that can be obtained without a prescription will be revised due to the demand of people and the pharmacy company heads. Representatives of companies have already met with Minister of Health, Labour and Social Affairs of Georgia Davit Sergeenko and shared their opinion. Sergeenko agreed to make amendments to the list after he receives more information on the medicines from the pharmacies. However, according to the statement of Sergeenko, the list of medicines has not been submitted to the ministry by the companies yet. “We have moved more the 1,500 types of medicines from group to group during the last month and there still are not any limits. We will look at the list that will be sent by pharmaceutical companies and will do our best to comfort patients. However, the comfort must affect their health,” stated Sergeenko. The head of the Aversi Pharmaceutical Company Gia Chigogidze said that absence of some medicines on the without a prescription list (some that are required for chronic illnesses) create problems for consumers. The head of the Pharmaceutical Association Irina Tchelidze said that there are many medicines that have been tested for years and have no side effects. “Some people have to visit pharmacies several times a day, because they are not able to purchase the medicines they need, that’s why we had a request to the minister to move such medicines to the free group,” stated Tchelidze. Former Minister of Health, Labour and Social Affairs of Georgia Zurab Tchiaberashvili said that the people’s reaction made Sergeenko step back. “The reform which was run by the ministry of health was immature and was followed by an acute reaction from society and now they have stepped back. 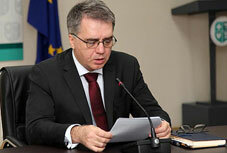 This reform needs a lot of work before it reaches a positive level,” stated Tchiaberashvili.